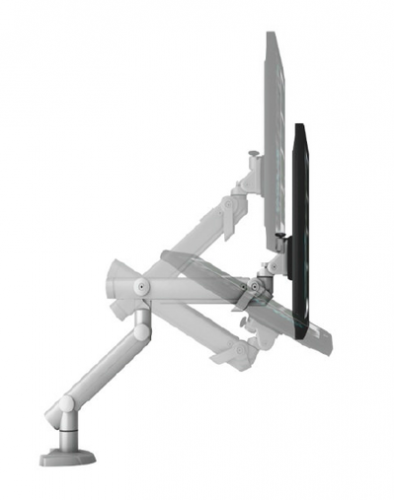 The Dynafly Dual Monitor Arm allows today's computer, to easily mount their computer monitors for convenient comfortable viewing. 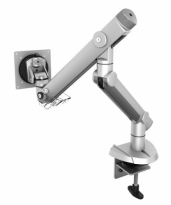 The Dynafly Monitor Arm offers a broad range of monitor adjustment, and includes seamless adjustments for height, focal distance, and tilt angle. 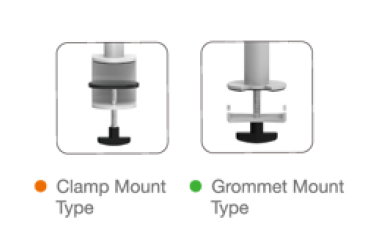 The Dynafly Dual arm can accommodate two monitor screens with weights ranging between 5.5 lbs (2.5 kgs) and 33 lbs (15 kgs). High-capacity construction and modern aesthetic design. Unsurpassed screen weight range 5.5 lbs - 33 lbs. 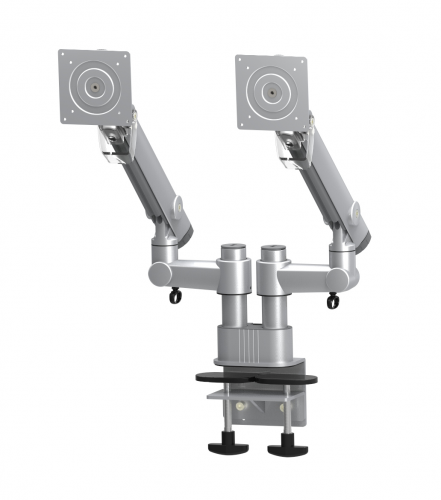 Tension controller provides easy monitor balance adjustment. Includes quick release and anti-theft system. 180 degree screen turning capability. The Dynafly Dual Monitor Arm adds the flexibility every office worker needs to create a healthier, safer, and more comfortable work environment.